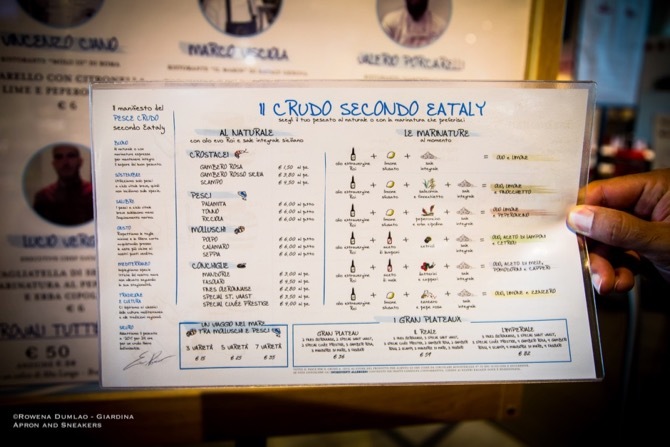 At Eataly Rome, the new project was represented from the Manifesto del Crudo (Manifesto of Raw Fish) that was created by Eataly World Corporate Executive, Chef Enrico Panero. 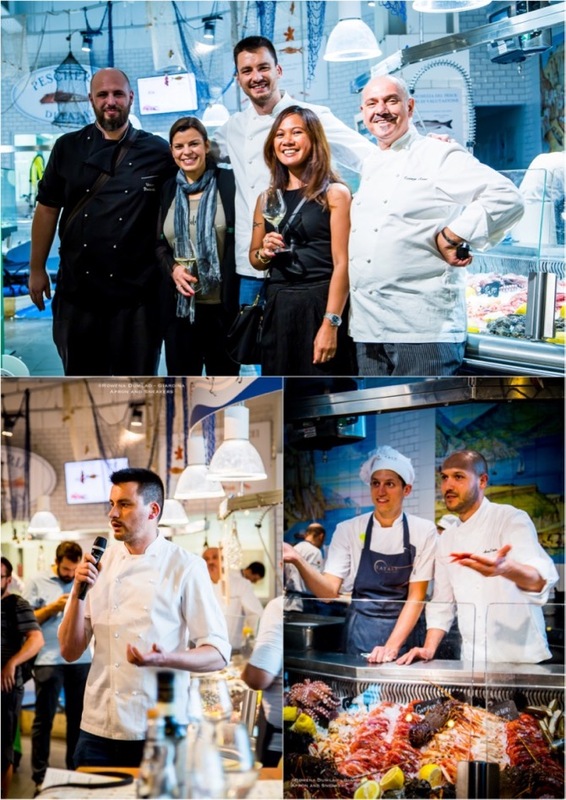 Along with him, experts contributed their great knowledge while the chefs created their own versions of raw fish dishes following the format of sustainability and healthiness. 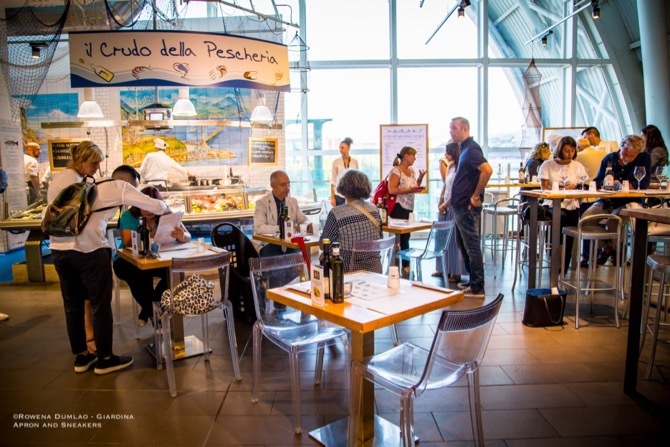 Professor Silvio Greco, a marine biologist, university professor of environmental sustainability and president of Slow Fish Scientific Committee was present as well as Nando Fiorentini, Eataly World Seafood Sector Manager. One important thing we should know is the meaning of sustainable fishing. It is a responsible way of catching fish that makes sure the populations of the different species in the ocean remain in a good level. That means rotating the species that the fishermen catch, avoiding fishing more than what we need and making sure that the fish were given the time to reproduce before being caught along the coast. 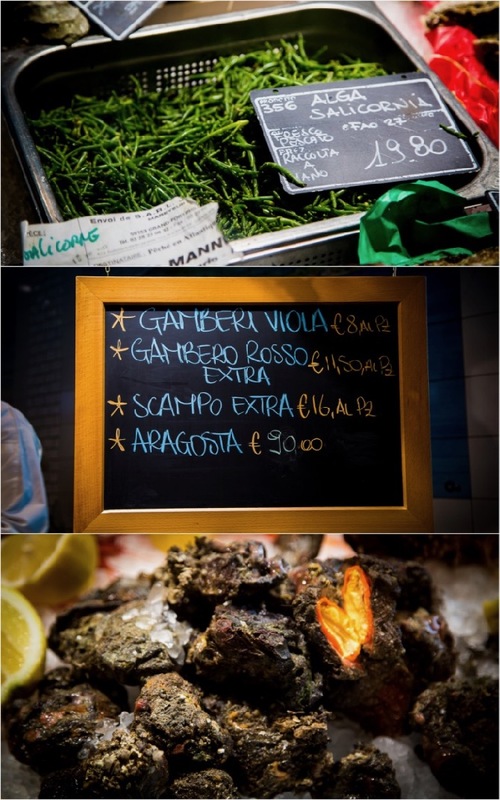 As what Professor Greco said, there are 600 species found in the Italian waters but we only consume 10 of them, half of which is even cultivated. What do I need to do as a consumer? 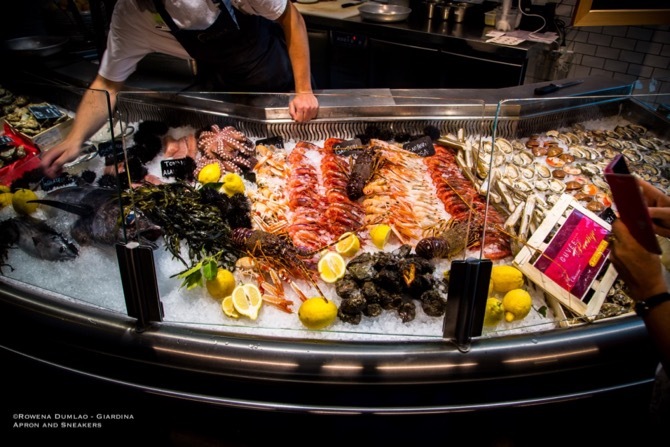 As consumers, we play a big role to this by getting our fish from trusted fishmongers and fish restaurants. What do we need to know? Find out where the fish was caught, get to know other kinds of species instead of always eating the same species, and if the fish has been fast frozen at -20 degrees Celcius for 24 hours to kill all the bacteria before being served as raw fish on your plate. 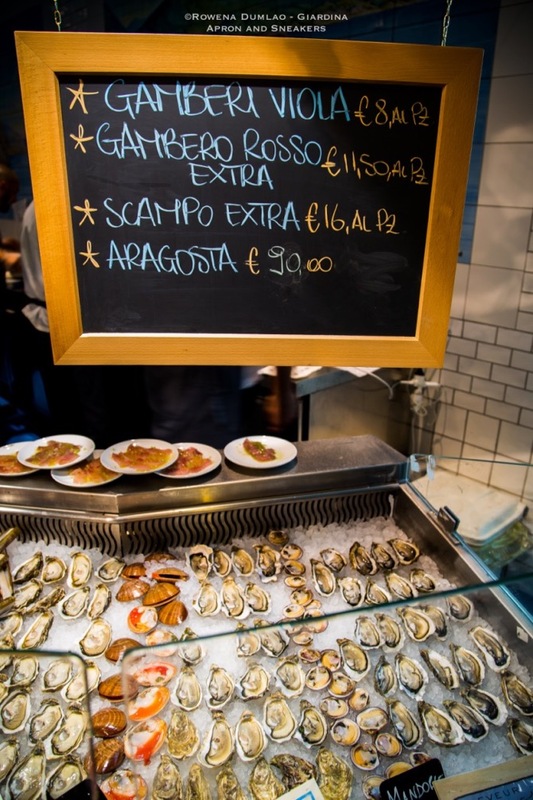 It is important to know that fast freezing (abbatere) is implemented by law in Italy when serving raw fish because applying acidic agents is not enough to kill other bacteria or parasites like anisakis. Going for the small species is better than the bigger ones because they have shorter lives and in the short period that they stay in the water, they absorb less pollutants and contaminants that are present in the water. 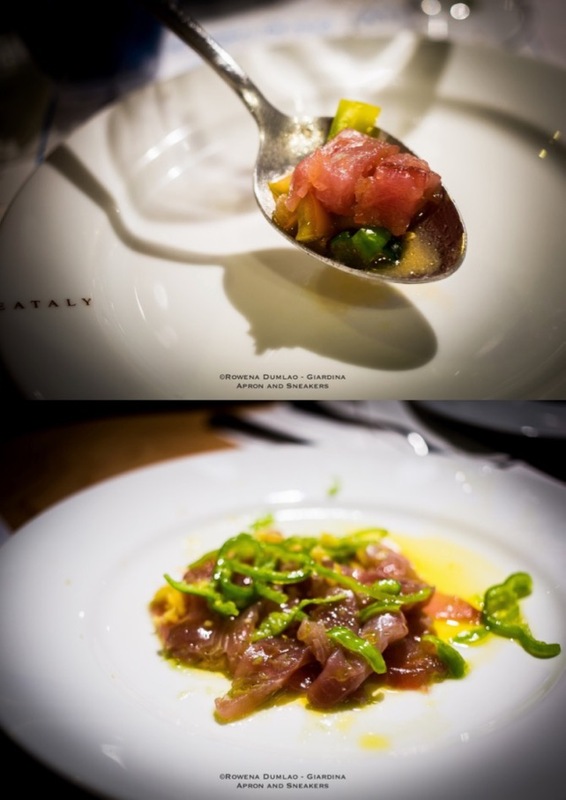 For the big species, Eataly proposes only one kind of tuna which is the Tonno Alalunga or Albacore. 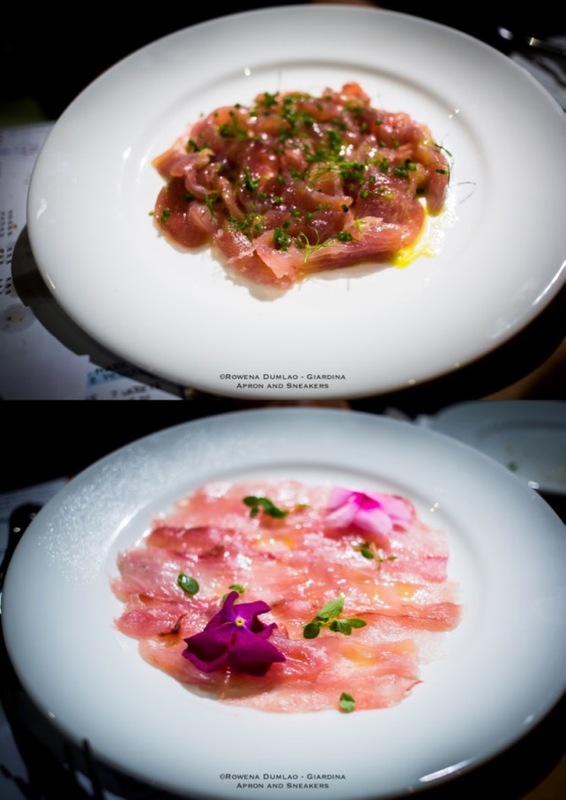 The other kinds of tuna like Yellowfin and Bluefin are not used because of their scarce population. 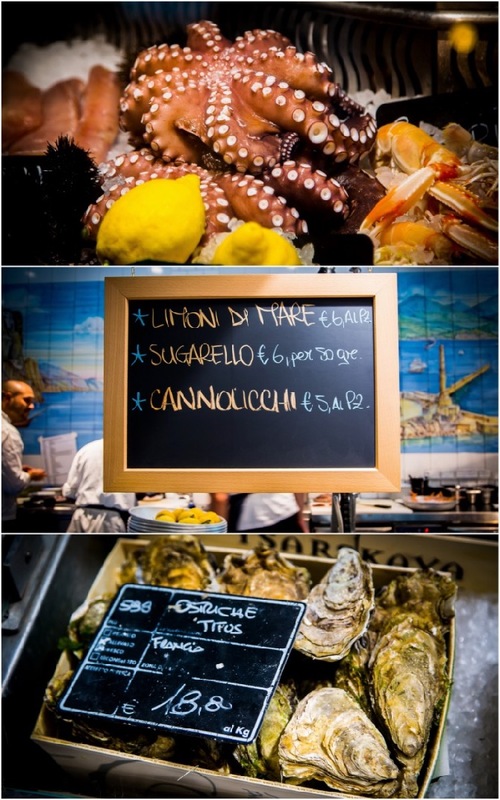 At the fish section of Eataly, it is possible to order the raw fish compositions in the natural way by just adding extra virgin olive oil and Sicilian integral salt or for something more flavorful, choose a marinade of your choice that's done at the moment. The marinade is composed of extra virgin olive oil, integral salt, lemon or vinegar, and herbs to boost the flavor. 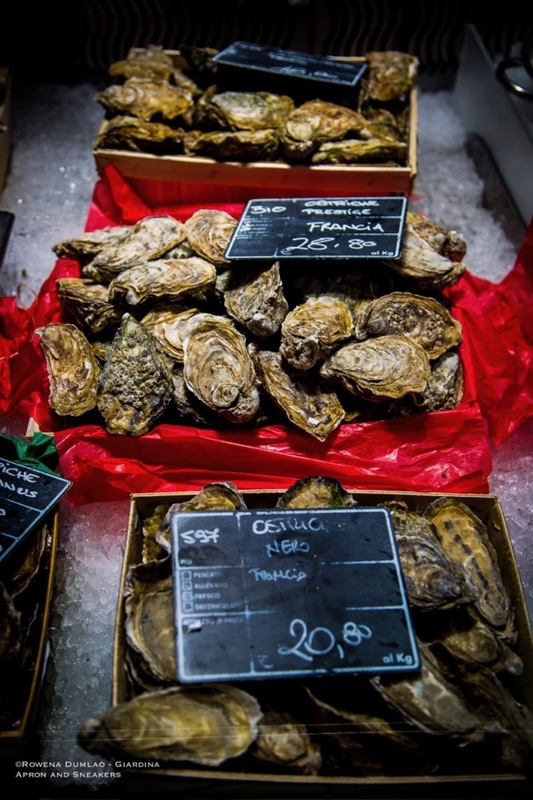 Pair it with one of their proposed wines that go well with raw fish. 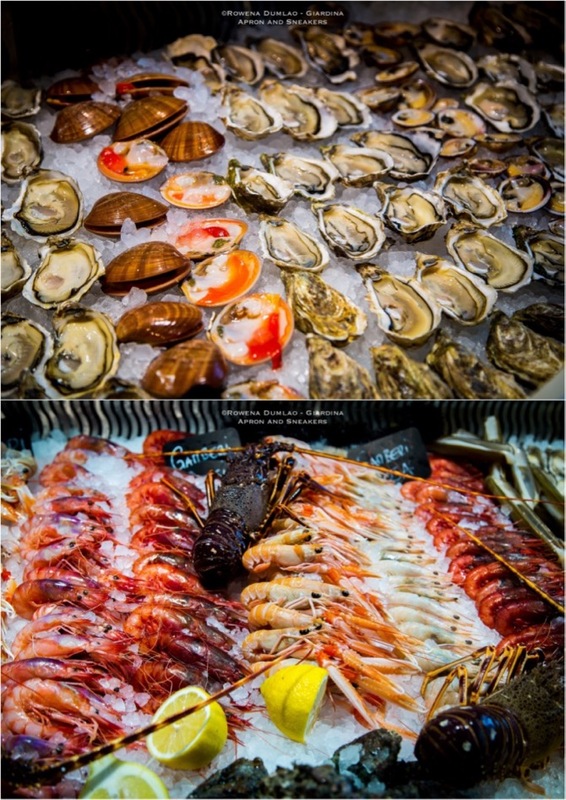 For other seafood events, consult the site's seafood sector. 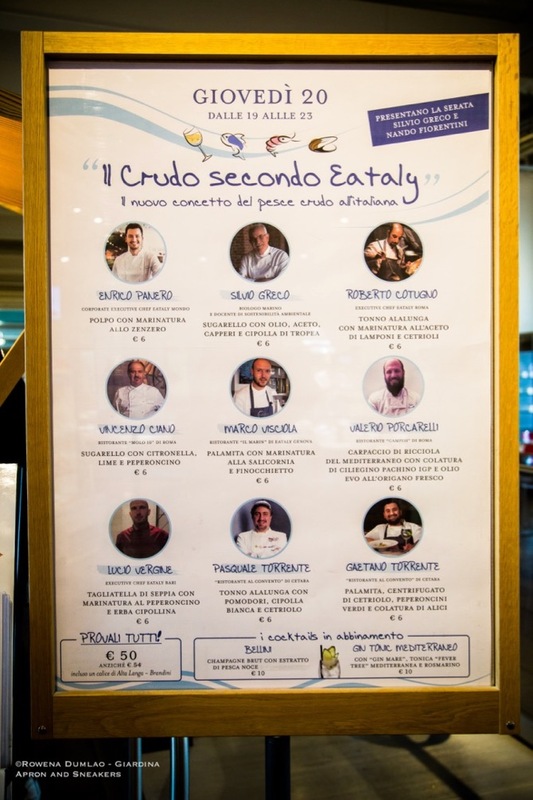 To jumpstart the project last month, nine Italian chefs including Chef Enrico Panero and Professor Silvio Greco created dishes using species less known in the Italian kitchens like Atlantic Horse Mackerel (Sugarello), Atlantic Bonito (Palamita), Greater Amberjack (Ricciola), and Albacore (Tonno Alalunga). 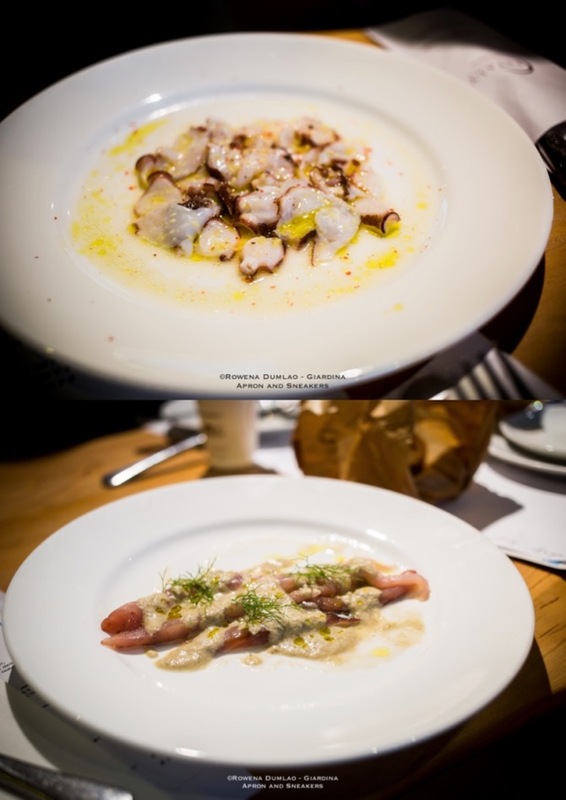 Enrico Panero's (Corporate Executive Chef Eataly Mondo/World) octopus with ginger marinade (polpo con marinatura allo zenzero). Silvio Greco's (Marine Biologist and Instructor of Environmental Sustainability) horse mackerel with extra virgin olive oil, vinegar, capers and Tropea onions (sugarello con olio extra vergine, aceto, capperi e cipolla di Tropea). Roberto Cotugno's (Eataly Rome Executive Chef) longfin tuna with marinade of raspberry vinegar and cucumber (tonno alalunga con marinatura all'aceto di lamponi e cetrioli). 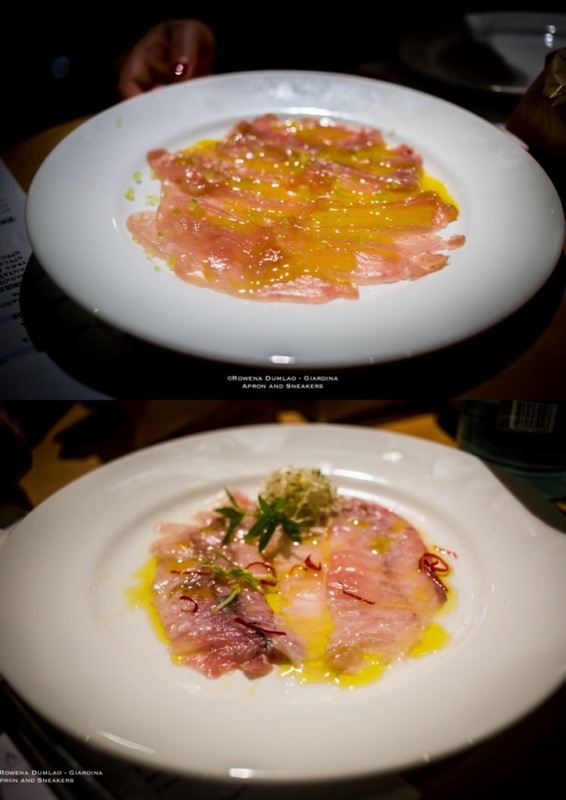 Vincenzo Ciano's (Chef of Ristorante Molo 10 in Rome) horse mackerel with citronella, lime & chili (sugarello con citronella, lime e peperoncino. 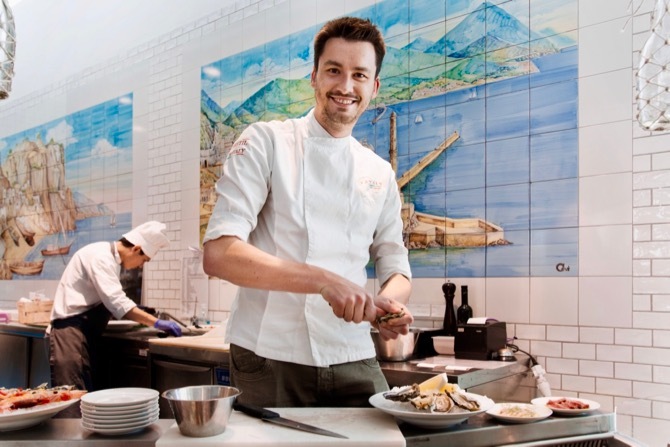 Marco Visciola's (Chef of Ristorante Il Marin at Eataly Genova) atlantic bonito with marinade of glasswort and fennel (palamita con marinatura alla salicornia e finocchietto). Valerio Porcarelli's (Chef of Ristorante Campisi in Rome) greater amberjack carpaccio with cherry tomato water and extra virgin olive oil with fresh oregano (carpaccio di ricciola del Mediterraneo con colatura di ciliegino pachino IGP e olio evo all'origano fresco). Pasquale Torrente's (Chef of Ristorante al Convento in Cetara) longfin tuna with tomatoes, white onions and cucumber (tonno alalunga con pomodori, cipolla bianca e cetriolo). Gaetano Torrente's (Chef of Ristorante Al Convento in Cetara) atlantic bonito, extracted cucumber juice, green chili and Italian anchovy sauce (palamita, centrifugato di cetriolo, peperoncino verdi e colatura di alici). 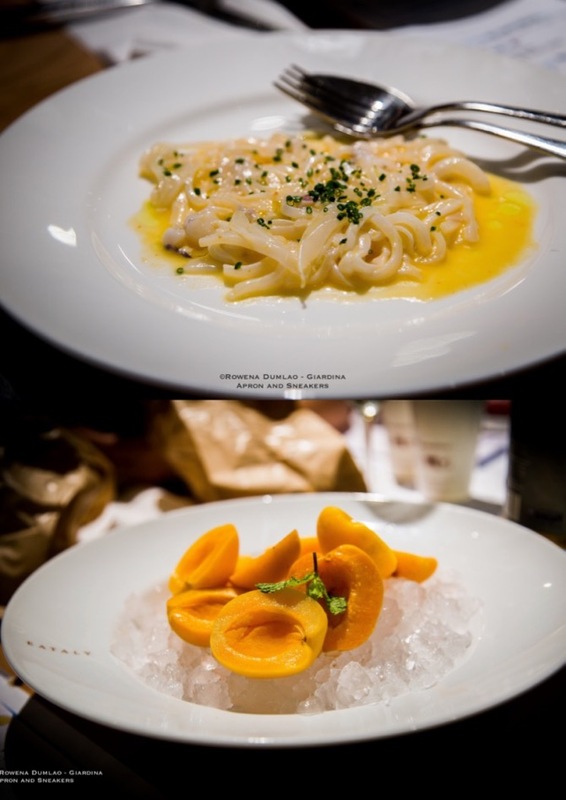 Lucio Vergine's (Exectuve Chef of Eataly Bari) cuttlefish tagliatella with marinade of chili and chives (tagliatella di seppia con marinatura al peperoncino e erba cipollina). 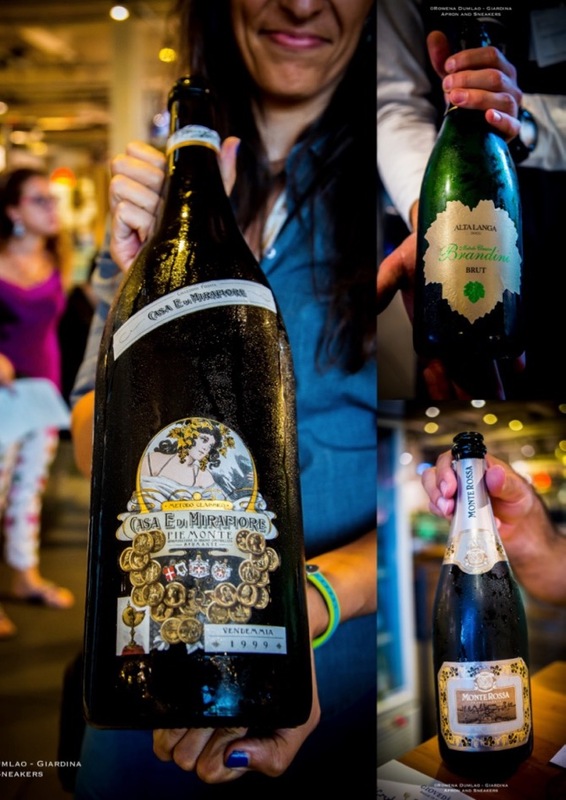 Accompanying the raw fish was Monte Rossa Franciacorta Sansevè Saten Brut while a jeroboam of the Casa E. Mirafiore Collezione Privata Spumante was opened for the occasion by Sommelier Paola Pozzoli and as well as another spumante, Brandini Alta Langa Brut DOCG.